Family owned and operated Supplement Giant has been providing fitness supplements and knowledge since 1991. We have the lowest prices and best selection in town. Guaranteed. Our Prices will even beat the prices you can find online. It is important to give your body the supplements it needs in order to meet your personal wellness goals. 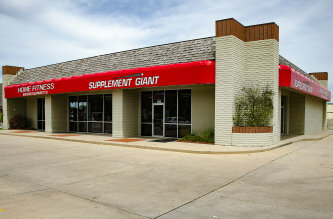 Supplement Giant offers all the big national supplement brands as well as many others that you won't find anywhere else. Our staff is here to help you understand the products you're purchasing and how to get the most out of them. They are non commissioned so you can rest easy knowing they aren't just trying to sell you a product but actually help you with your goals. Whether you're preparing for a competition or just starting to work out, we can help you with everything from diet and training, to the supplements needed to push you closer to achieving your goals. Stop by and see us today at either our East or West locations or you can order online.